Snipperclips: Cut it Out, Together! Announced With the Nintendo Switch releasing in March. It seems like all we can talk about is the Nintendo Switch, well, it’s true. 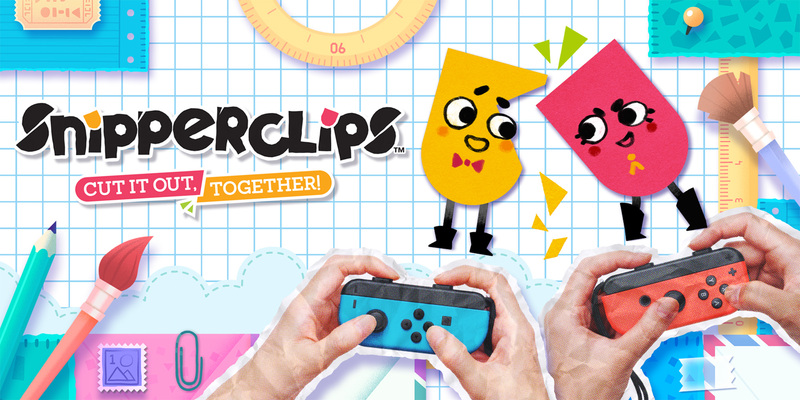 One of the newest games coming to the Switch has just been announced and it is Snipperclips: Cut it Out, Together! Snipperclips is a cooperative puzzle game that takes place in a notebook and players take control of Snip and Clip. Each character has scissors that allow them to cut their own or their friend’s body to transform into a specific shape. Think of it as Hole in the Wall but with little red and yellow blobs. There are many other puzzles and levels that include moving objects, throwing basketballs, and other tasks which will keep you and your friends playing. Snipperclips: Cut it Out, Together! Will release in March which is at the time when the Switch will release.